Need to learn more about food safety? Wondering what HACCP is? Then Perennia's online Food Safety Fundamentals courses might be right for you. 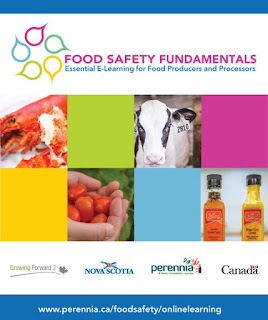 Start with Introductory Skills for Creating Your Food Safety Program and move on from there if you'd like to. These courses are short (about 2 hours), don't have to be completed all at once, and can be done from the comfort of your home or office as long as you have an internet connection. They are ideally suited for busy entrepreneurs, new packing-line or processing workers, or as a refresher for any employee working with food.